Dark Angel marks the second collaboration between musician, songwriter, producer Daniel Flores (Issa, The Murder of My Sweet, Seventh Wonder) and Robbie LaBlanc from Blanc Faces. 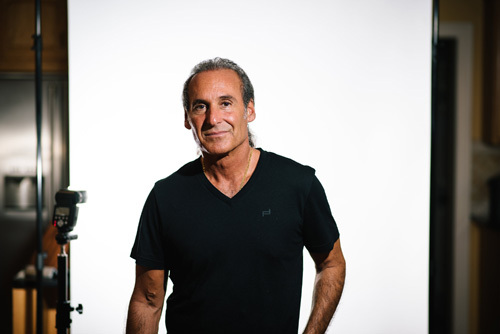 All under the watchful, all seeing, eye of Frontiers Music President Serafino Perugino, who continues to expand the realms of AOR melodic hard rock. And that's what you have once more. Just push repeat. This is classic, out of the Eighties, stuff. Toss in Journey, Toto, Giant, some W.E.T. and Eclipse and you get where the Find Me sound comes from. Once more we songs with strong melodies and large harmonies from vocals and guitars. These in turn are wrapped up within a massive soundscape: a wall a riffage embellished by atmospheric and orchestral synths. Accents come from hooks in refrains and ear-melting guitar solos. Of course, LaBlanc is in fine form, rising above the music, but perfectly appointed thanks to the superior production and mastering. Find Me and Dark Angel is the sound and energy that rocked arenas, large and small, back in the day. It's also something of a signature for Frontiers Music, as they consistently produce quality AOR melodic rock. You've heard of the Nashville or Westcoast sound. Ladies and gentleman, and you heard it here first, I give you the "Frontiers Music" sound. Of the songs, most are full blast arena rockers like Nowhere To Hide, Did You Feel Any Love, or Where Do I Go. But there's also the anthems and ballads such as Forever or Don't Slip Away. Flores and LaBlanc also partner with the former's The Murder of My Sweet cohort Angelica Rylin for Another Day, not a ballad, but a fast-paced rocker with a nice metal edge. It's all good and there's much to be said for consistency. 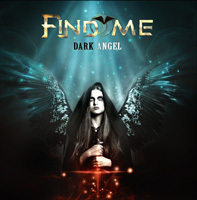 Find Me's Dark Angel is another album of well-crafted and well-played AOR melodic rock. Easily recommended. There's much to be said for consistency. Find Me's Dark Angel is another album of well-crafted and well-played AOR melodic rock. Easily recommended.